Προσφέροντας ποιοτικά καταλύματα στην ψώνια, περιήγηση σε αξιοθέατα, εστιατόρια περιφέρεια της Kaohsiung, το Hotel Metropolitan Kaohsiung είναι μια δημοφιλής επιλογή τόσο για αυτούς που ταξιδεύουν για δουλειές όσο και για τους τουρίστες. Το συναρπαστικό κέντρο της πόλης είναι μόνο 2km μακριά. Από τη βολική της τοποθεσία, η ιδιοκτησία προσφέρει εύκολη πρόσβαση σε κορυφαίους προορισμούς της πόλης. Το Hotel Metropolitan Kaohsiung προσφέρει επίσης πολλές εγκαταστάσεις για να εμπλουτίσετε την διαμονή σας στη Kaohsiung. Κατά την διαμονή σας σε αυτό το υπέροχο ξενοδοχείο, μπορείτε να απολαύσετε τα δωρεάν WiFi σε όλα τα δωμάτια, ημερήσιος καθαρισμός, υπηρεσία ταξί, παράδοση ειδών παντοπωλείου, ιδιωτικό τσεκ ιν/τσεκ άουτ. Ελάτε σε ένα από τα 49 φιλόξενα δωμάτια και ξεφύγετε από τα άγχη της ημέρας με μια ευρεία γκάμα ανέσεων, όπως επίπεδη τηλεόραση, κρεμάστρα ρούχων, δωρεάν καφές φίλτρου, δωρεάν τσάι, λευκά είδη, που θα βρείτε σε ορισμένα από αυτά. Εξάλλου, το ξενοδοχείο διοργανώνει πολλά ψυχαγωγικά δρώμενα έτσι ώστε να έχετε πολλά πράγματα να κάνετε κατά τη διαμονή σας. Με την ιδανική του τοποθεσία και τις καταπληκτικές του υπηρεσίες, το Hotel Metropolitan Kaohsiung θα σας ευχαριστήσει σε πολλά πράγματα. The staff are very helpful and provide good service. It's quite close to the train station and the hotel also provides very nice breakfast buffet. I will definitely stay here again if I am in Kaohsiung. The lobby is very presentable and all the free facilities (free breakfast, 24 hour snacks downstairs) were great. However, with the exception of one member who was only rostered on in the morning, the staff cannot speak English at all. We were given one of the smallest rooms in the hotel, which we were okay with, however we had specifically requested a non-smoking room. Upon entering the room, we could smell smoke throughout the room and the hotel placed an air freshener in the room which smelled unpleasantly of strong chlorine. We requested a new room on another floor and although it seemed better at first, we soon came to realise that the smoke was carried through the air conditioning unit. Turning it off significantly improved the air quality, however it was still very smoky in the corridors of the floor, plus we were obviously unable to use the air con as a result and it got quite warm at night. Would recommend you look elsewhere as staying here for 4 nights affected our health. 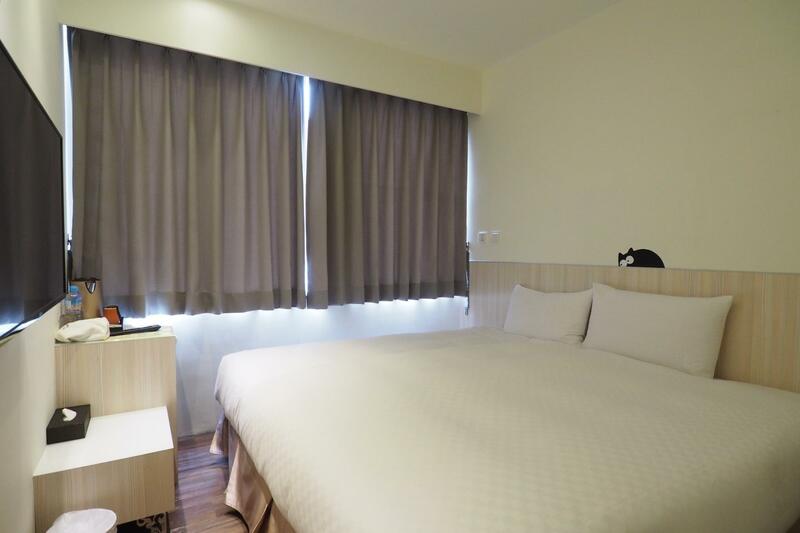 It’s a nice business hotel, about ten minutes walk from a main MRT station. Snacks and beverages provided at the lobby around the clock, friendly and helpful counter staff, free bicycle loan, decent breakfast. Room is reasonably clean and tidy. I highly recommend M Hotel. Clean comfortable rooms. Praises to management. Great hospitality and helpful staff. Free snacks, ice cream, coffee and tea in the lobby. Appears recently renovated. Delicious generous breakfast with big spread of Asian vegetable and tofu dishes with porridge and assorted tasty condiments. French fries and nuggets too. Thick hot soybean drink. Even provide instant noodles for those hunger pangs in the middle of the night. Provided complimentary shuttle service to the nearby Kaoshiung Train Station . Most impressive value for money. USD37/night. Thank you M Hotel! Excellent hotel, clean, friendly staff, always there to help you with smile, cant speak english very good but they try so hard to explain everything, my kids love their free popcorn and ice cream, also there’s chips, jelly and juice, free 24 hours, a litte bit far from tourist attraction, the nearest station is city council. There’s washing and drying machine, I’ll come back for sure. Thanks for your comment and hope to see you again. Manager Hai. 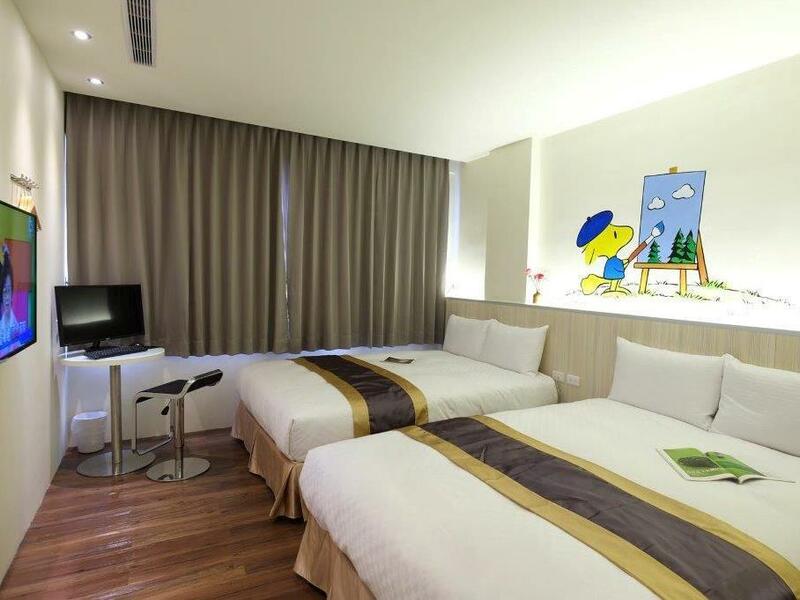 This hotel is at a very convenient location, which is very close to City Council Metro Station. Also there are buses which you can take to the town centre. The maids did a good job in cleaning the room. Desserts are provided for free to the hotel guests. The daily breakfast is Chinese style, not too many choice. Also, the hotel is very close to the post office and Lu He Night Market. The hotel provides laundry service. I will highly recommend this hotel. Got free upgrade. The room is big and the mattress is comfortable. Breakfast is nice, got variety of choices. Hotel got free snacks and ice-cream provided anytime. 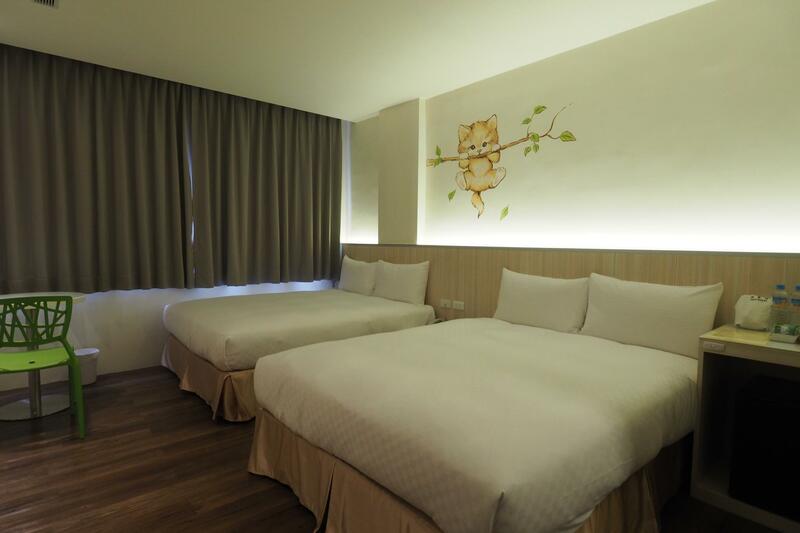 The hotel is just a walking distance ~10 minutes to LRT station. -Nearby hotel a lot of food choice. -Hotel provided bicycle, but i did not rent it. -Hotel provided snack,ice cream,drinks and popcorn are free flow. -Breakfast is nice to eat, mostly is taiwan food. -Hotel given 2 free mee cup voucher for supper. -Room is clean and bathroom is spacious. Nice hotel. Cosy environment. Free snacks and drinks. Friendly staffs. They even gave us a voucher to redeem for cup noodles just in case we are hungry in the night time. Will be back again next time. The reception very friendly and helpful. They allowed us for early check in. There is a washing machine and dryer provided. But need to insert ceiling. I'm satisfied with my stay in M Hotel. I will visit again next time. 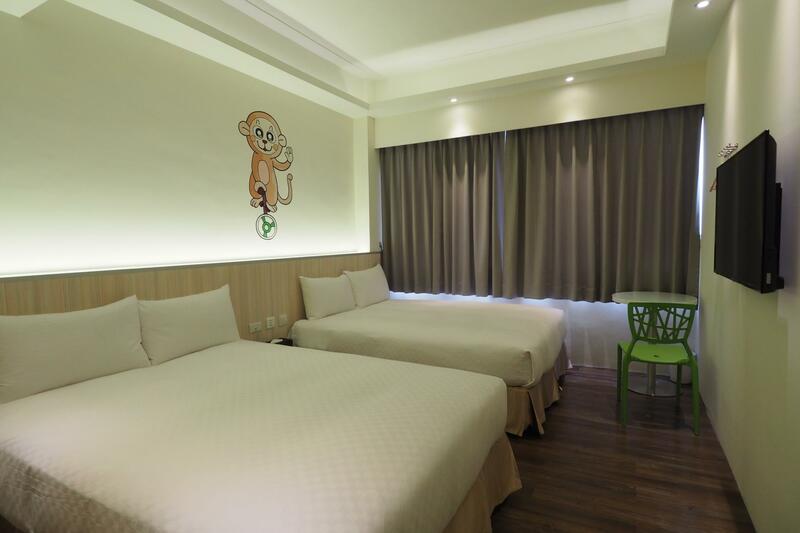 While the hotel is not in a central/popular location, it is still a walkable distance from the nearest MRT station. 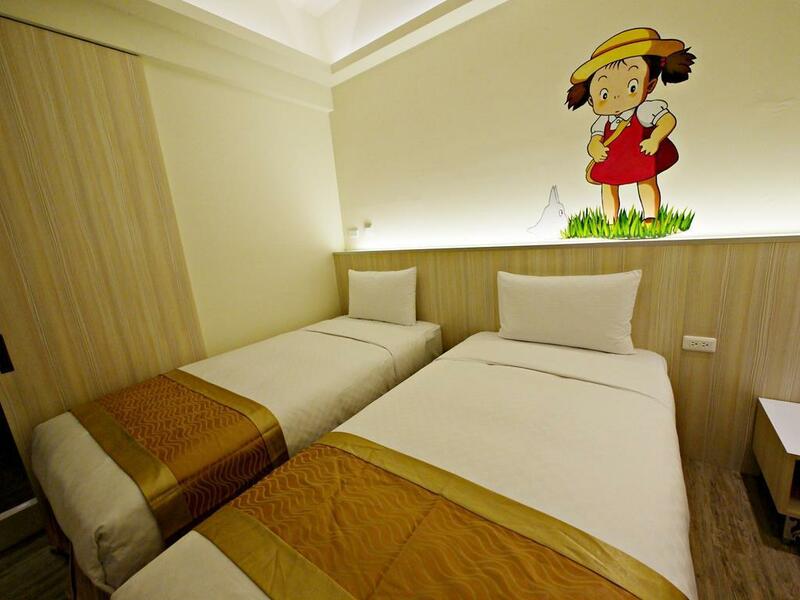 The room is well maintain and very friendly and approachable staff. They have bicycle that the guest can use to cycle around the area and also an awesome lobby area that provide 24hr snacks (popcorns, ice-cream, puddings) and drinks while you are waiting for friends t come out. They also provide some books/magazines to keep you occupied. It would be a hotel I would go back again when I visit Kaohsiung. hospitality was top notch. everybody from the receptionist to the kitchen staffs were exceptionally warm and friendly didn't have any issue with the stay though we travelled as a familywith a 1 year old baby and a breast feeding wife. there are 24 hours free flow snacks and hot/cold water dispenser with a coffee machine ，all FOC. nearest MRT station is within walking distance. lots of eateries around as well . Would highly recommend this place to eveyone looking for value for Money budget stay with money-cant-buy hospitality! Very Friend and nice staff that make the stay very comfortable. Snacks corner are available at the lobby. Clean room. Good location. Only bad thing is room is a little small. Other than that, all good. staff are very friendly, free water, chip, icecream,... breakfast is a little bit boring. The location is not really good, 5 minutes walk from MRT station. It's value for Money but if you want to visit famous places in Kaohsiung, should try to stay near Formosa Boulevard MRT station. Staff are very nice and helpful. Help to upgrade to a better room without any extra charges. Breakfast is very good with variety of choices. Got porridge , western food and etc. Room is very big and clean. There is a 24 hours free snack at the lobby area. Got lots of choices such as orange juices, ice cream, pop corn, coffee, tea, pudding and etc. Ice cream is very delicious. Free shuttle to Kaoshiung Train Station and MRT Formosa Boulevard but must do reservation first. Cons: Very far away from MRT but can take bus to many places. 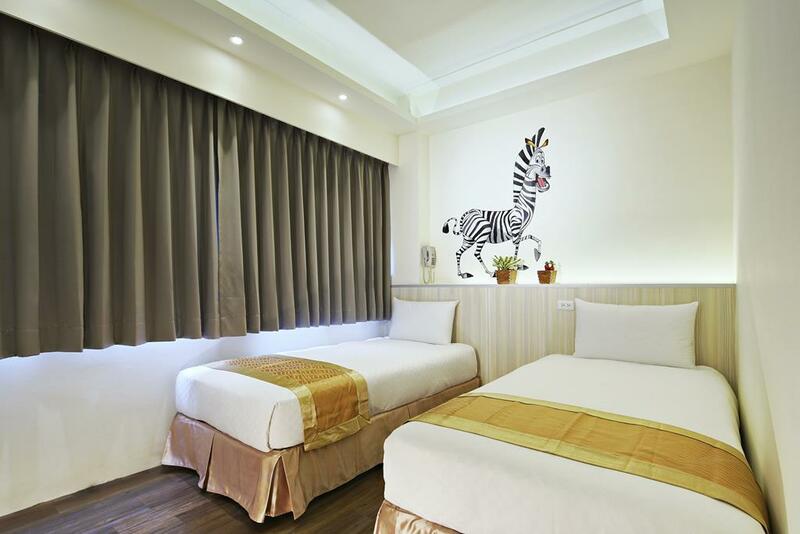 Can take bus 205 to Dragon and Tiger Pagoda, Dream Mall and Carefour at Liouhe 2nd road (500m) from hotel. We needed to get to the train station after checking out of the hotel. The hotel arranged for a FREE ride to the station for us and even helped us look up train times to help us get to our next destination. Side note, they have lots of free snacks ranging from ice cream, jello and chips by their lobby. Thanks for your comment and hope to see you again. Leader Lin. Polite, patient staff. Coffee machine, ice cream, jelly etc 24 hours at the lobby to help yourself. We are vegetarian and the kitchen was instructed to specially prepared vegetarian breakfast for us. Really appreciate. The kitchen cook, Liu xiao jie is really kind. Σταθμός MRT City Council στα 0.39 χλμ.